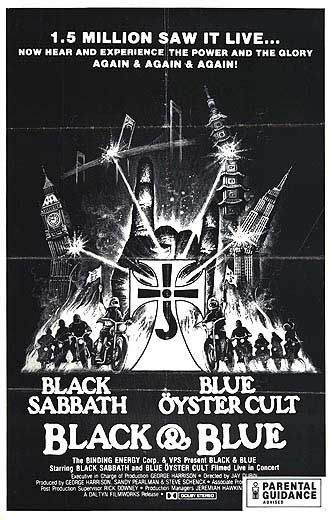 I had tickets for the 22 August 1980 “Black & Blue” tour gig featuring co-headliners Black Sabbath and Blue Öyster Cult at Bonneville Raceway, just east of Salt Lake City, Utah. 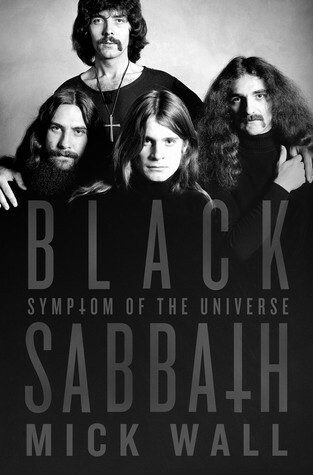 Black Sabbath was a no-show due to the drug problems of drummer Bill Ward. Recognizing the disappointment of the concert-goers, Blue Öyster Cult played a fantastic double set. — In recognition of their going beyond the pale “for the fans,” Blue Öyster Cult are heroes forever. — Bill Ward is a villain, having allowed his addictions and lack of self-control to hurt fans. — I am a victim here. As a result of Mr. Ward’s sudden departure from the tour, I lost what would be my one and only true opportunity to see Ronnie James Dio perform live. Perfect! Wrap it in a bow and put it on the mantle. An anecdote for the ages! The “Historical Record” – Bah, humbug! Forced to cancel the show, the promoter threatened to sue them for $100,000. When it became clear that Bill really wasn’t coming back, though, the promotor took pity and the next four shows were all rescheduled for later in the year. Reading the above in mid-2016, I was quite obviously outraged. How could the miscarriage of justice carried out against me (and all my Utah comrades, of course) be so carelessly cast aside with solely a vague reference to “the next four shows” being rescheduled? Did we, the suffering (black) masses who had gathered in our masses for naught at that oil-soaked desert track on 22 August 1980, not deserve at least to be listed, specified, named? And what was this “rescheduling” of which Wall spoke? Bah! Confronted with Wall’s two-paragraph sham of a treatment of my history, I knew instantly what had to be done. I would write my own book (or article or blog post or email to my sisters) setting things straight. The episode would not be so casually swept under the rug. I immediately just under two years later set out to gather the raw, concrete facts in preparation for the truth-telling. Unscrupulous historiologist wankers be damned! …And that’s where the tangible universe with all its law-abiding beauty and moral clarity came crashing down around me, catapulting me into a tilted neocubist world of multiple perspectives and nuanced conceptions, with reassuring truth traded in for emasculating perception. I was cast from self-evident Heaven and Hell opened its misgiving arms wide to receive me. — BÖC as heroes: Via the absolutely amazing (and endlessly fun) website, http://www.hotrails.co.uk, I was able to confirm that the 22 August 1980 Bonneville Raceway show was a scheduled “Black and Blue” tour stop at which Sabbath was a no-show. We were the second cancelled Sabbath appearance after Bill Ward bailed on the tour, with the 21 August McNichols Arena gig in Denver having been the first. However, two accounts on the website – plus others I fearfully google-reaped elsewhere — indicated that BÖC had actually cut their Raceway set short due to strong winds blowing desert sands into the band’s faces, threatening to topple equipment, and carrying upon us a dark, lightening-packed storm that made the outdoor site too dangerous to continue. As I researched, long-dormant fragmentary brain ripples asserted themselves, callously forcing me to accept the falsehood of my prior “extended set” Blue Öyster fawning. 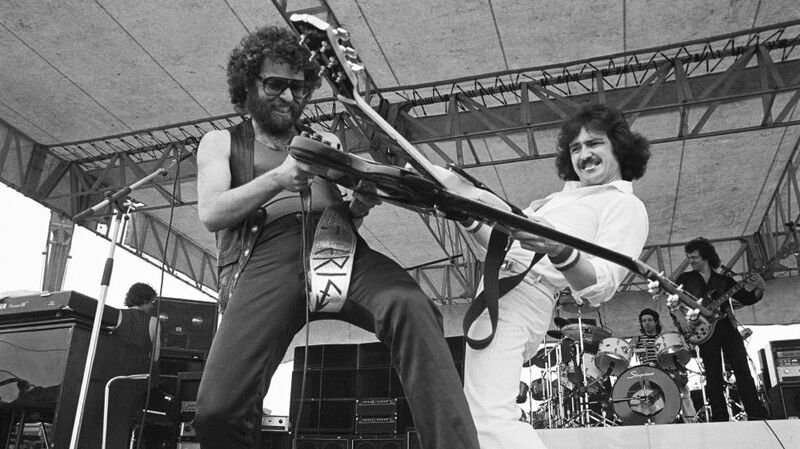 I still know with all my heart that Eric Bloom stated early on from the stage BÖC’s intent to make up for Black Sabbath’s absence by doing a double set. Nonetheless, unrealized intent is likely insufficient testimony for heroism. — Bill Ward as villain: This much is true: I was robbed of my chance to see Black Sabbath on 22 August 1980 because Bill Ward abandoned the concert tour two days before. In his book, however, Wall paints a picture of a sad Bill, missing and feeling disloyal to his touring buddy Ozzy, isolated from his bandmates, distressed by the death of his mother earlier in the year, and so deep in the abyss of hard-drugs addiction as to bring into question his ability to make considered choices. The timing of Bill Ward’s departure affected me negatively, but it also gave Bill needed space that he eventually leveraged to get better, and it brought drummer Vinnie Appice into Dio’s orbit, an event which led to oodles of musical goodness over the subsequent decades that have directly and dazzlingly stoked my buzz. — Missing my one chance to experience Ronnie James live: Mick Wall’s insouciantly executed memory murder was accurate. 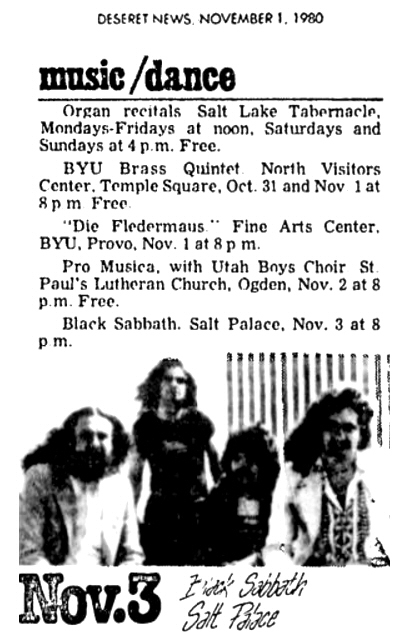 Sabbath’s cancelled show was, in fact, rescheduled and occurred at Salt Lake City’s Salt Palace just over two months later on 3 November 1980. I have no recollection of that show. I do not know why I would not have gone. That I can recall, nothing major happened in that time frame that would have precluded my attendance. Absent further context and/or uncovering of mitigating facts, I am forced to admit that I appear to have had another chance to see Dio fronting Sabbath, but I did not take advantage of it. My wounds may be self-inflicted; my victimhood nothing more than a false memory carved to protect myself from blame. My anecdote doesn’t look as nice on the mantle as it used to. I’d try discounting my April 2018 findings as obvious examples of “fake news,” but I am afraid the gleam on my story is permanently smudged. I am victimized once again, this time by a conspiracy of truth. Maybe you spent all your hard currency on a ticket to Die Fliedermaus two days earlier? On a slightly more serious note (or two notes: I hear the sound of your tongue moving towards and away from your cheek), this is a heavy phrase: “unrealized intent is likely insufficient testimony for heroism”. It affects me strongly. Finally, what an irony that possibly the best named two-band tour in rock history was such a shambles. As long as you weren’t one of Ozzy’s Fledermäuse! The support (such as it is) comes easily, Vic. In this one, I also enjoyed the sense of craft in the structure. Like a handmade box with precise dovetail joints. Loved this, we are all of us such unreliable witnesses to our own stories. I have really learned something today and that is to never EVER fact check any of my own anecdotes. Thanks! We just need to embrace the post-truth moment and stop being chained by the outdated moral mores of yesteryear. If we can just do that, we’ll never have to fear the tyranny of facts again. That’s a direct quote from a White House aide, I assume? I truly believe we are winning the War on Facts.